The hot plates are fired up and the tongs are at the ready, as burger trucks from around Sydney and Newcastle prepare to battle it out against one another, to see who can produce the most delicious, decadent and moreish burger in town! 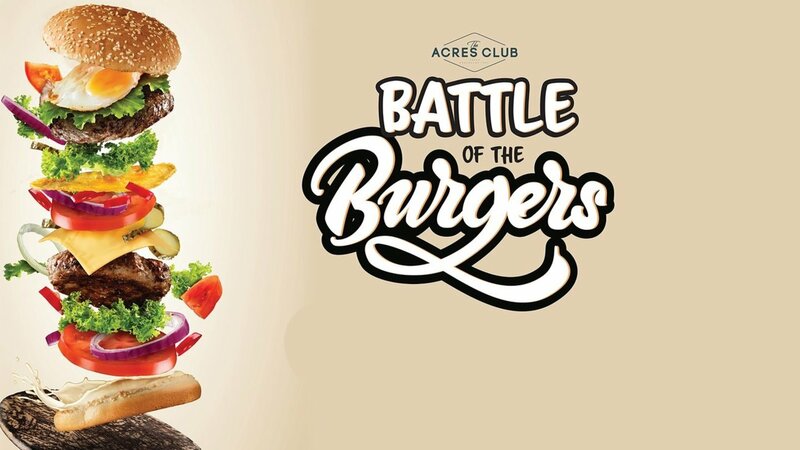 The Battle of the Burgers will be held at The Acres Club on Saturday 24 March, featuring some of the best food trucks around. They’ll be putting their best creative recipes to the test, to try and win over our panel of burger judges, to be crowned Best Burger. The battle kicks off at 5pm on the greens at The Acres Club, and will feature Big Papa’s, G-Dup Burgers, Norma’s Burger Bar, Newy Burger Co, Mate Burger, Chef’s Kitchen and Duo Duo. You can also win your place on our Burger Judging Panel alongside world champion axeman David Foster, a Fatties Burger Appreciation Society representative and the owner of Happy Ending Burgers Mr Gee, to decide who takes out the People’s Choice category! Simply tell us in 25 words or less why you would make a great burger judge. Entries close on 18/3/18. ENTER NOW. Get your family and friends together for a great night out at The Acres Club. There’s plenty of seating in our new outdoor area, and there’s free parking onsite.